I've got a Meng King Tiger I'm saving for a group build over at the Haven. 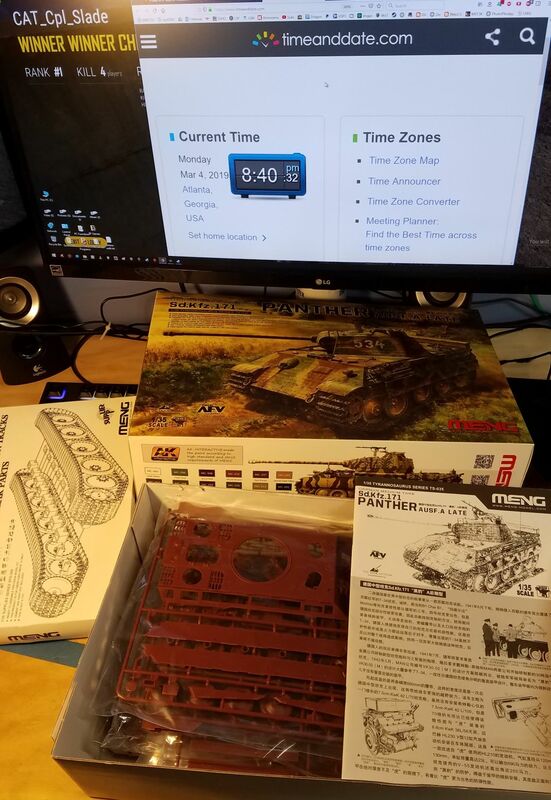 I had plans of trying to pick up HobbyBoss' King Tiger for this one, but I think I'll use this as motivation to finally get crackin on Takom's Panther A (early/mid) with Interior. I have a a representative from most of the German cats already, and have a Dragon Panther G built so far. 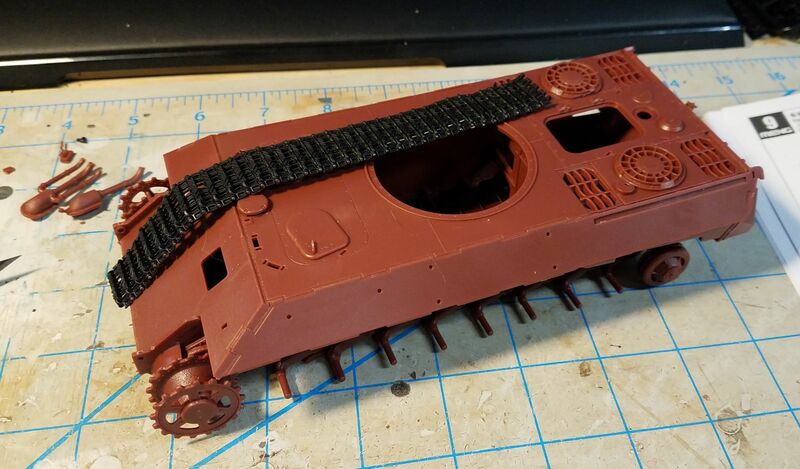 I am going with Meng's Panther A Late, although I know most seem to prefer the Takom kits. However, I got the working suspension for practically nothing prior to buying the kit, so I felt obligated to buy the Meng at that point. At any rate, I can compare it to my Dragon experience. Nice choice!. 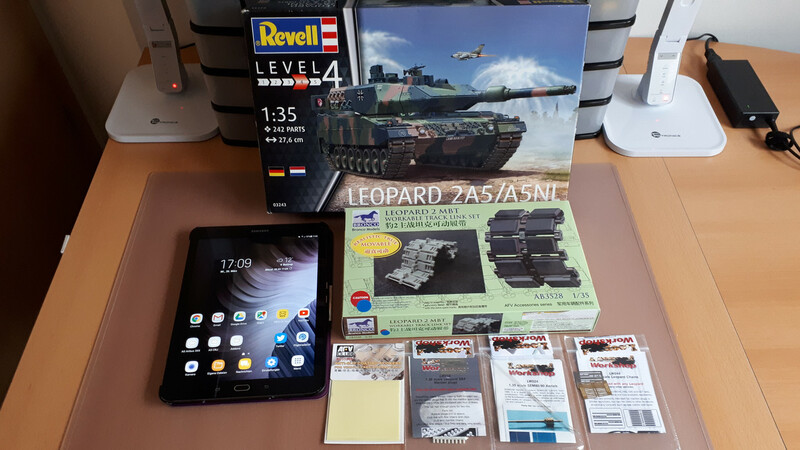 I retired 4.5 years for my bad health, now I am better and I will return with something simple; I will re-start with an Tiger I Ausf E/H of Italieri (No.286), will be "Out of Box" in 99%, I will add a Jordi gun barrel and grids made by me. I am very happy to return to build again!!!. As this is a simple kit, it goes together quickly. Principle assembly is now complete. Will start applying primer and paint this weekend, I hope. Working the tracks and fixing some problems. Removed by original poster on 03/20/19 - 16:32:40 (GMT). I'll try a slow but steady build, because i had to buy most of my modeling equipment anew. For example, new airbrush equip after May or June. Well, let's start for now. Mark, the beginning is impressive. The rear section ready!. I replaced the tool-box because in the kit is missing. Is this the forum to use for posting all Big Cat entries, including non-armor builds? Your build is coming along very nicely. I've done the same with the fire extinguisher on past builds. Thanks for your kind comments Mark!, yes, it seems to be a frequent problem. Interested in joining in on the fun, so would the new 1:35 Hobby Boss VK30.01 (P) kit fit in? The vehicle was also known as the TYP 100 and Leopard. After a bit of work,this is where I'm at. Lots of tiny metal pins to contend with this weekend. Looking great Rodolfo. I'm at that same point. Haven't been able to find time to paint these last few weeks. Thanks for your kind comments Mark!. I hope that you will have time for continue soon! 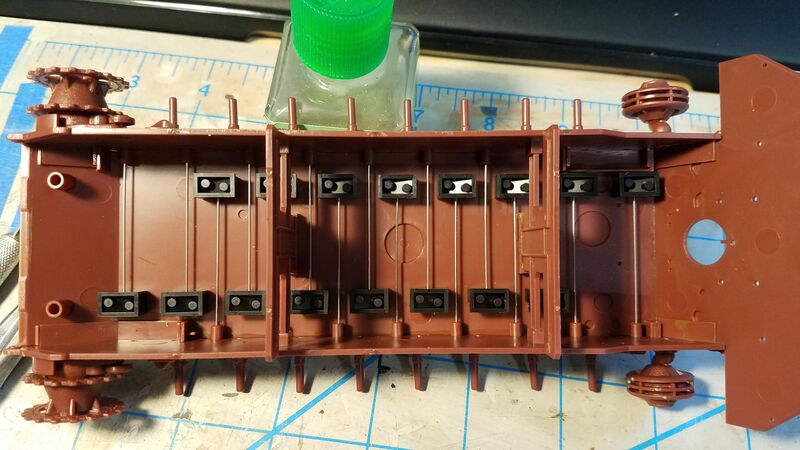 I corrected some imperfections using Putty of Vallejo and adding some rough surface above of the turrer for the weathering. Here is the first application of painting using for shades "tank-green" of Vallejo. Applied "tank-green" of Vallejo in all surface without affect the shades. I finally found a few minutes to spray some paint. I haven't decided what camo approach I'll be taking.